I know a lot of my followers are health-conscious - and I bet a bunch of you are on a special diet. Raise your hand (well, or leave a comment since I can't see you) if you are living gluten-free! See, I knew it! Gluten-free is one of the most popular food trends that can shift your dietary plan greatly. It's a diet that excludes the protein gluten and can thereby help manage celiac disease. Mostly, for everyone who is gluten-sensitive or gluten-intolerant and eating foods that contain gluten, your body will have higher cholesterol levels, endangering your overall health. Adjusting your diet may not only help with your cholesterol but your overall health. 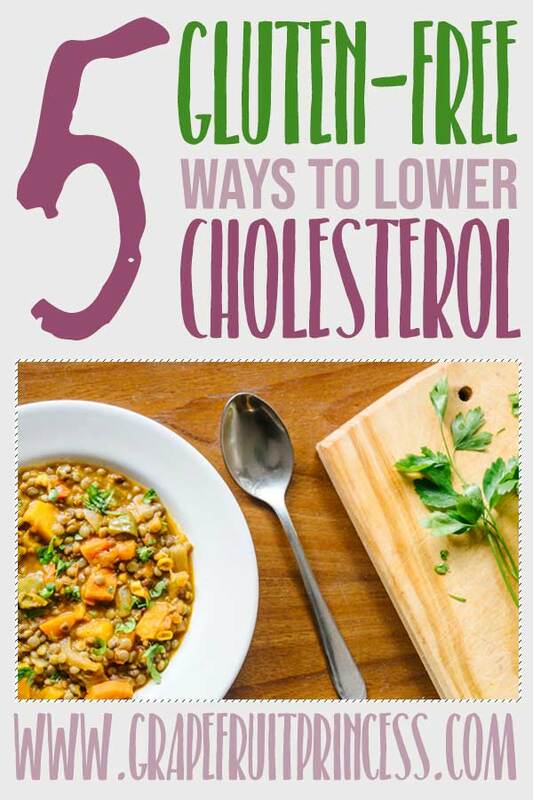 James Price, CEO for Cholesterade, is showing us five ways to lower cholesterol on a gluten-free diet. Some call it the latest food trend, others take it as an important shift in their dietary plan. Gluten is a protein found in most cereals, especially wheat. As a protein, gluten is not necessarily a harmful substance. However, if you are intolerant, your body will have an abnormally strong reaction resulting in rashes, difficulty breathing and sometimes inflammation inside the gastrointestinal system. Gluten and Cholesterol LevelAs you already know, there is good and bad cholesterol. When there’s inflammation in the body, it will produce extra (bad) cholesterol to try and control it. Mostly, for everyone who is gluten-sensitive or gluten-intolerant and eating foods that contain gluten, your body will have higher cholesterol levels, endangering your overall health. What is more, gluten is a food source with high glycemic index meaning that it’s directly absorbed by the bloodstream and therefore “guilty” of raising your blood sugar. How to Keep Yourself Healthy Around Gluten?It usually depends on the person, but most choose to either start taking statins or change their diet and lifestyle. We are all about the latter because adjusting your diet may not only help with your cholesterol but your overall health. If you are struggling with cholesterol, include supplements such as Cholesterade® in your diet for a healthy boost. #Consume Fish Varieties of fish such as herring, salmon, mackerel, tuna (even canned tuna), and sardines are gluten-free and loaded with omega-3 fatty acid, which is perfect for lowering bad LDL cholesterol and triglycerides. Plus, fish raises good HDL cholesterol, reduces blood pressure and inflammation, which is good for the cholesterol-lowering plan. #Add Cruciferous Vegetables to Your Plate Cabbage, broccoli, cauliflowers, and kale are packed with fiber, and help reduce cholesterol in the blood. Regular consumption of these vegetables helps to dispose of cholesterol from the body and aids in lowering the blood pressure. #Eat Yogurt One of the top gluten-free foods for lowering cholesterol is none other than non-fat yogurt. It controls cholesterol level in blood, and it can be super beneficial for your cholesterol when combined with vegetarian diets. Keeping yourself away from gluten can be pretty tricky as the protein is one of the main ingredients of almost all store-purchased products. Even so, a change in diet is more than manageable – all it takes is a little planning and, before you know it, you are eating healthy and gluten-free.